The Monument is on Sale! | Was $116,309 | NOW: $89,052! 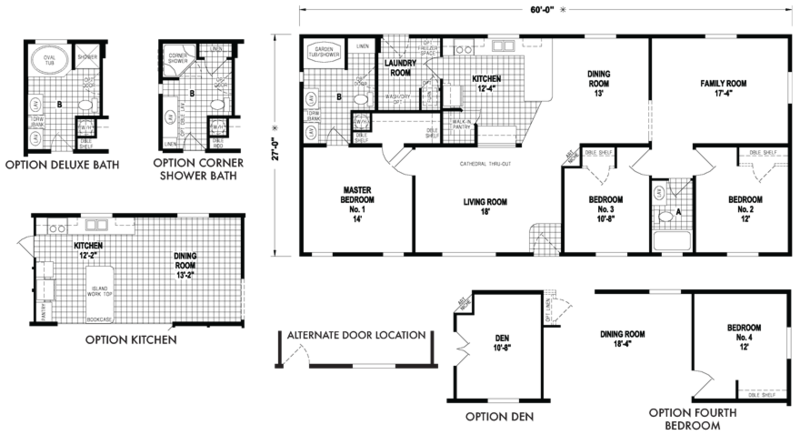 The Monument model has 3 Beds and 2 Baths. This 1620 square foot Double Wide home is available for delivery in Oregon, Washington, Northern California, Northern Idaho. Like the name suggests, the Monument model is large, and, it is loaded with a distinctive set of bells and whistles that truly elevate both its interior aesthetic and its exterior curb appeal. For example, the graceful cathedral ceiling throughout adds a lofty sort of charm, and the sophisticated front entry dormer gives the home a highly residential look. Ask your housing consultant about the other great features that come standard on the Monument manufactured home.